Our lead Herd Sire. 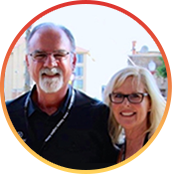 We believe his pedigree to be the strongest in the industry. Owned in partnership with Tyson Leonard Farms. 2018 TLBAA Horn Showcase class winner. 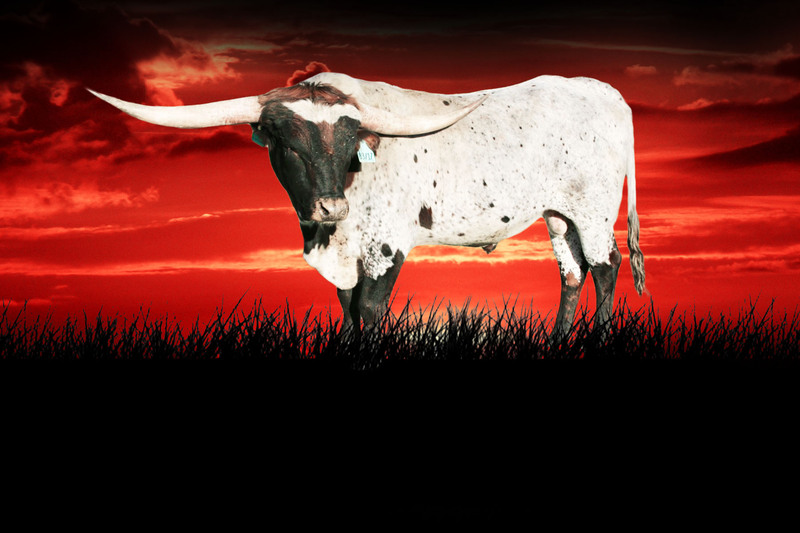 Owned in partnership with Bull Creek Longhorns. A fantastic 20 Gauge Son out of one of our most productive cows. Grand Champion Bull 2018 Colorado futurity. Won his class at 2018 TLCA futurity. 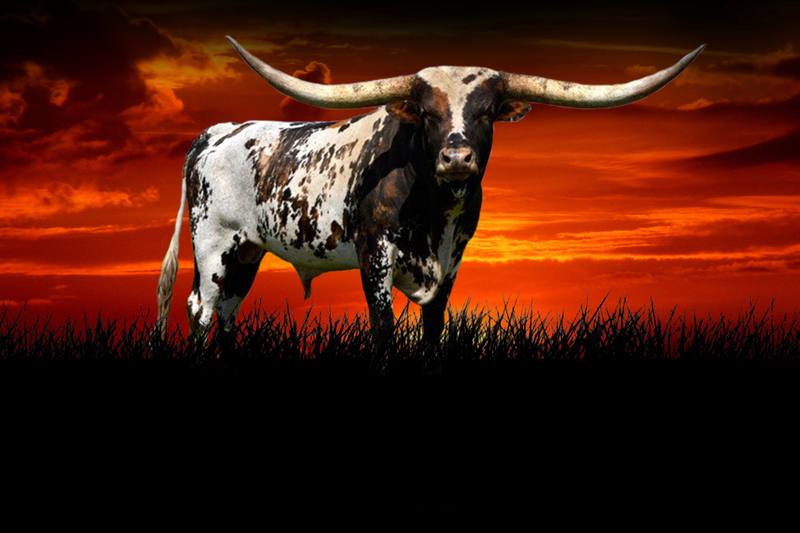 Owned in partnership with Bentwood Ranch and Rocking I Longhorns. For Sale $35,000. He is a proven consistent producer. 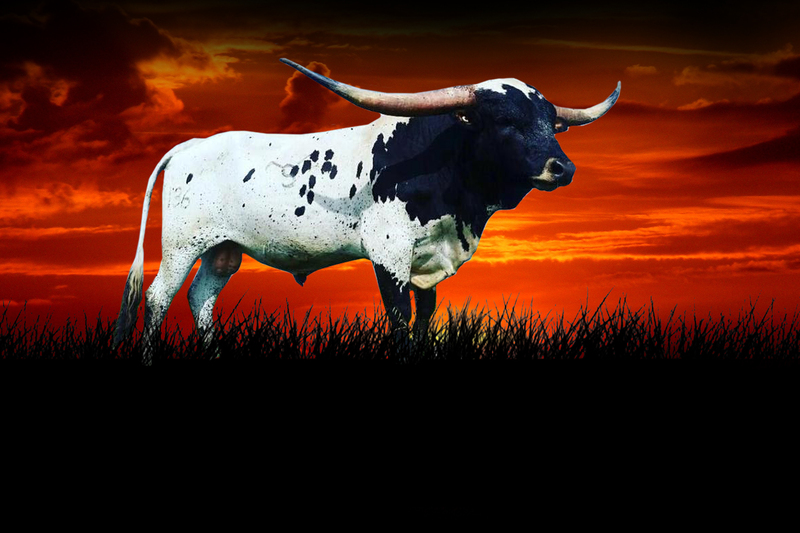 A Cowboy Casanova son with a tremendous laid back horn set. 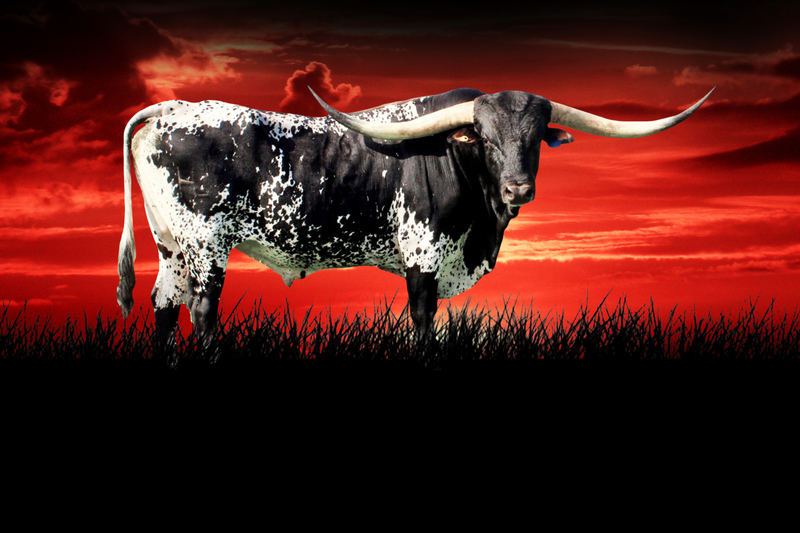 We are located in Southern Indiana where we maintain a herd of over 100 Longhorn females. 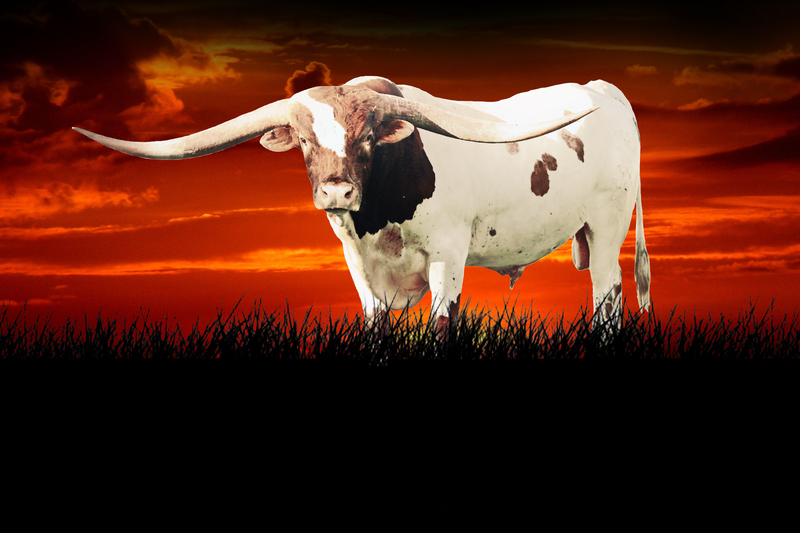 We have been raising registered Texas Longhorns since 2003 and we are as passionate today as we have ever been about our Longhorns. 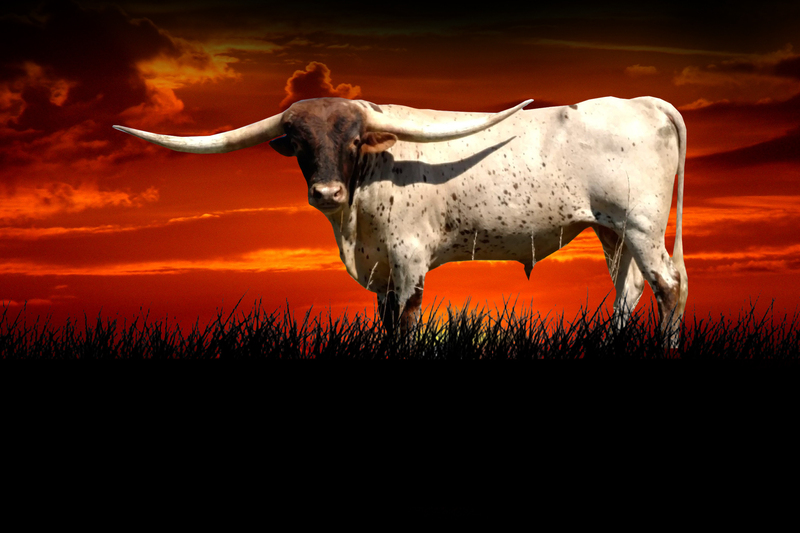 We own a collection of elite Longhorns and we are always working hard to make our herd even better. We own some of the greatest herd sires in the industry and we also A.I. with certain bloodlines that we think match well, in order to breed up to our objectives. We also maintain a sizable herd of recip cows and we are committed to our embryo program as we continue to flush the best cows in the industry with the best bulls. We also try to keep an inventory of lower priced animals on our ranch, to help new breeders that are interested in entering the Longhorn Industry. We hope you enjoy browsing through our herd on our web page and we invite you to come and take a tour of the herd in person, just please contact us for an appointment. May the LORD Bless You. 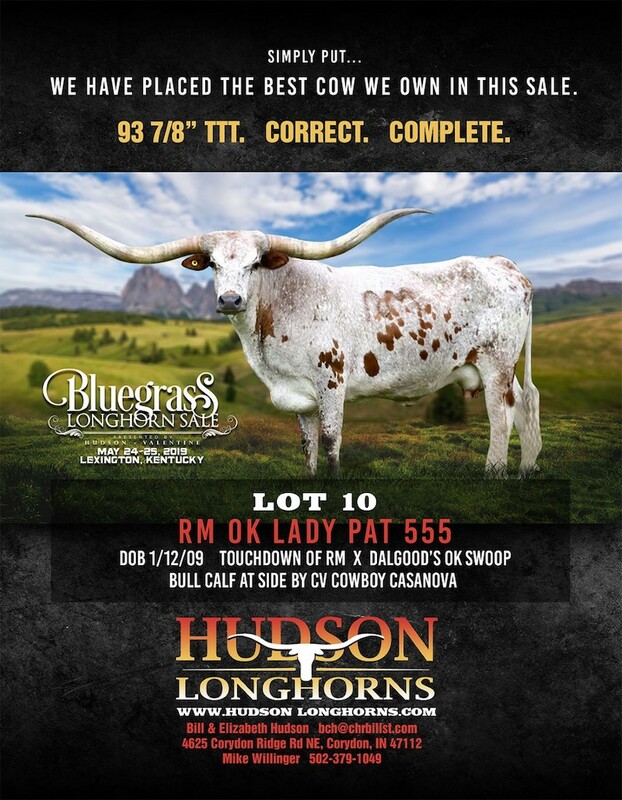 Make plans to attend the Bluegrass Longhorn Sale in Lexington, KY on May 24-25!